Apply now for the 2019 Easter Holiday classes. THE ONLINE REGISTRATION is now available via our new online form. 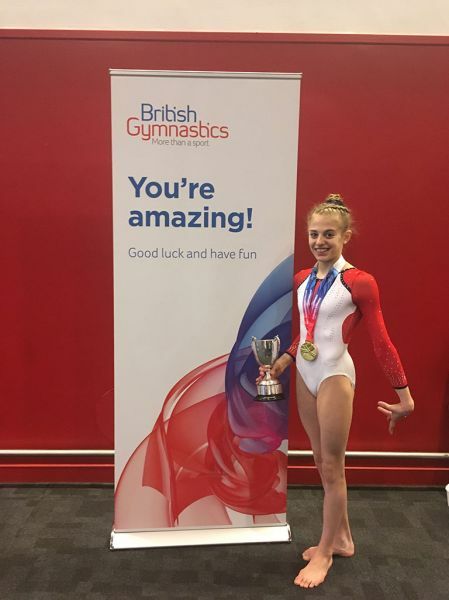 Huge congratulations to Ruby Stacey for her performance at the 2018 British Championships. Written by Administrator on 08 December 2010 . Gymnastics is the perfect activity to prepare children for long-term participation in sport and develops vital life skills. The sport encourages a child’s team-spirit, as well as individual growth, and provides proven benefits to their social and academic development. Gymnastics builds self-esteem, self-discipline, strength and flexibility, and prepares the body and mind for life's constant challenges. If you are looking for an action-packed, varied sport where you can watch your child grow into a happy, healthy and responsible young adult, then gymnastics is your choice.